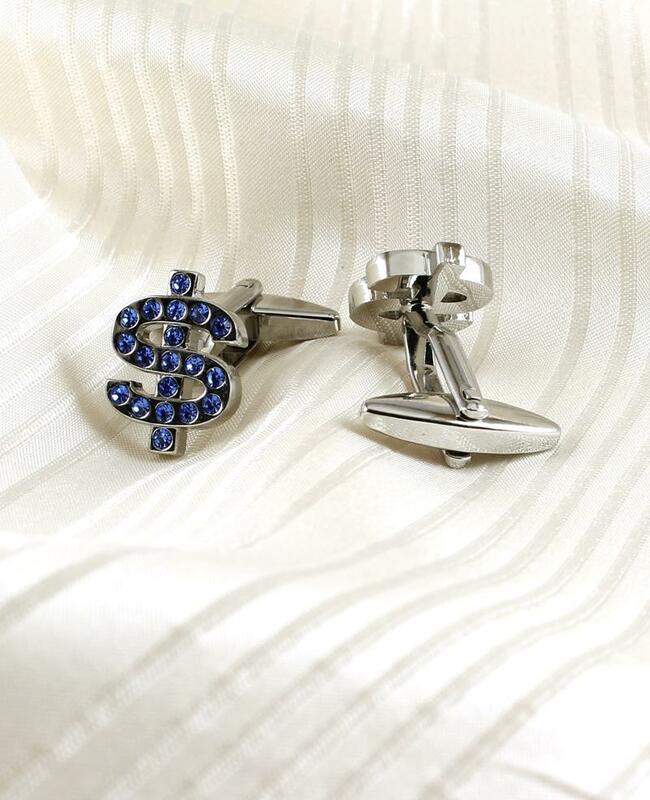 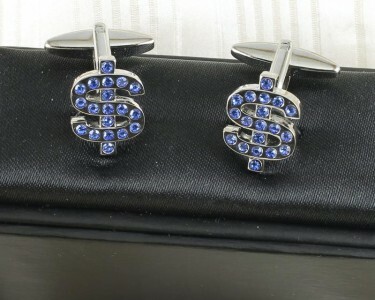 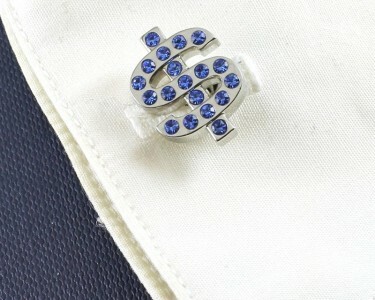 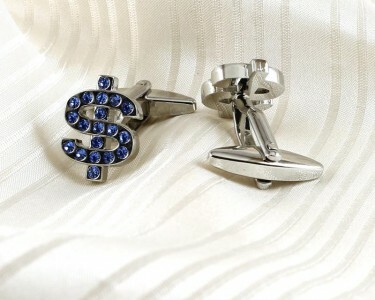 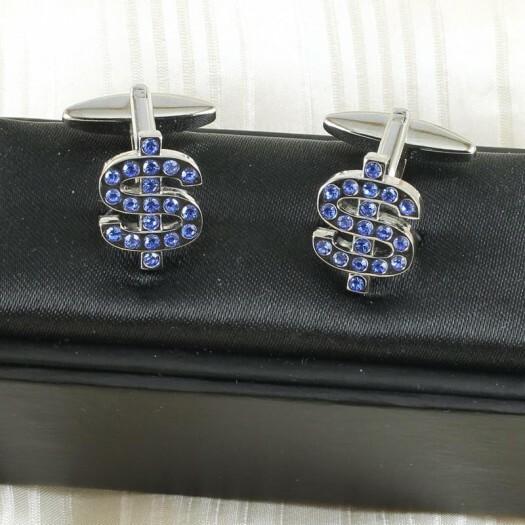 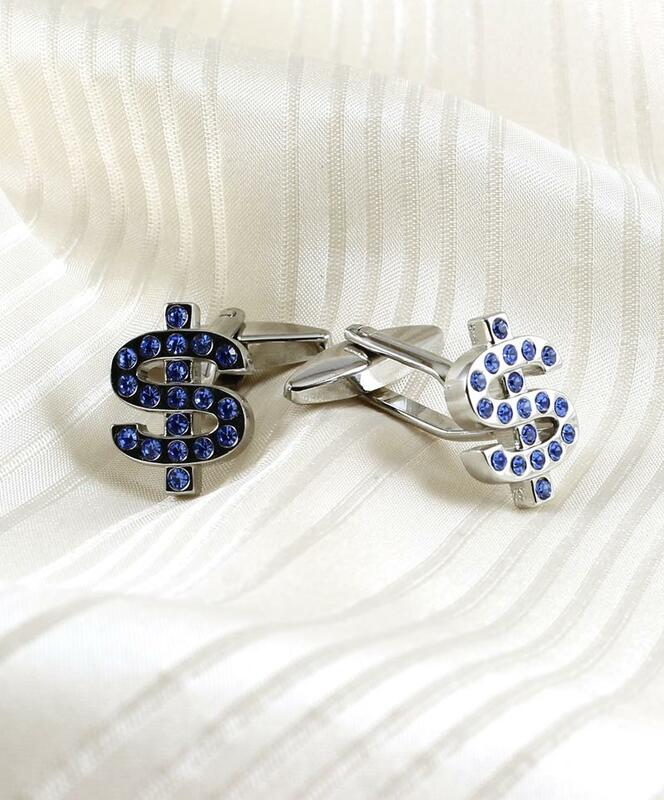 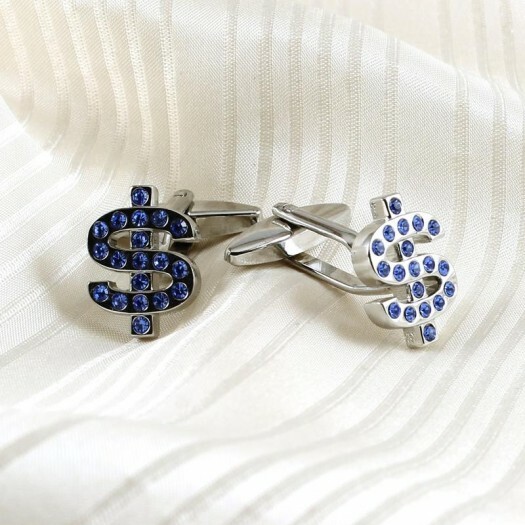 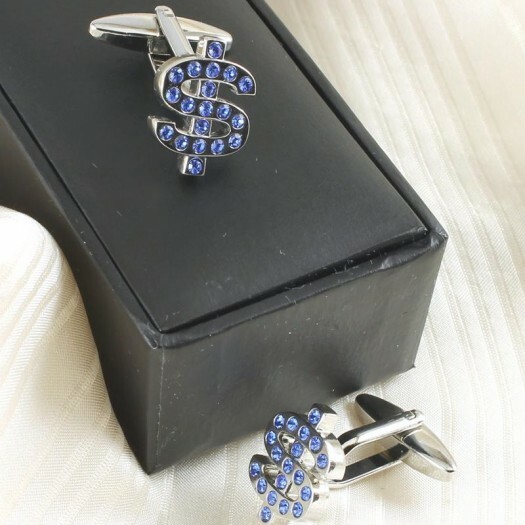 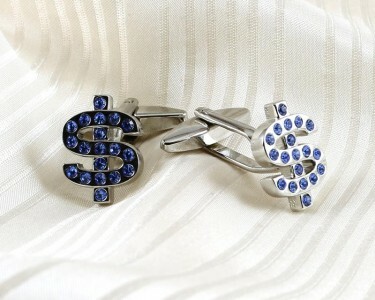 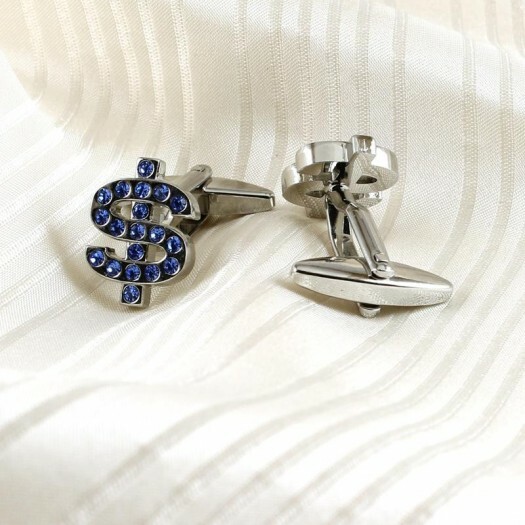 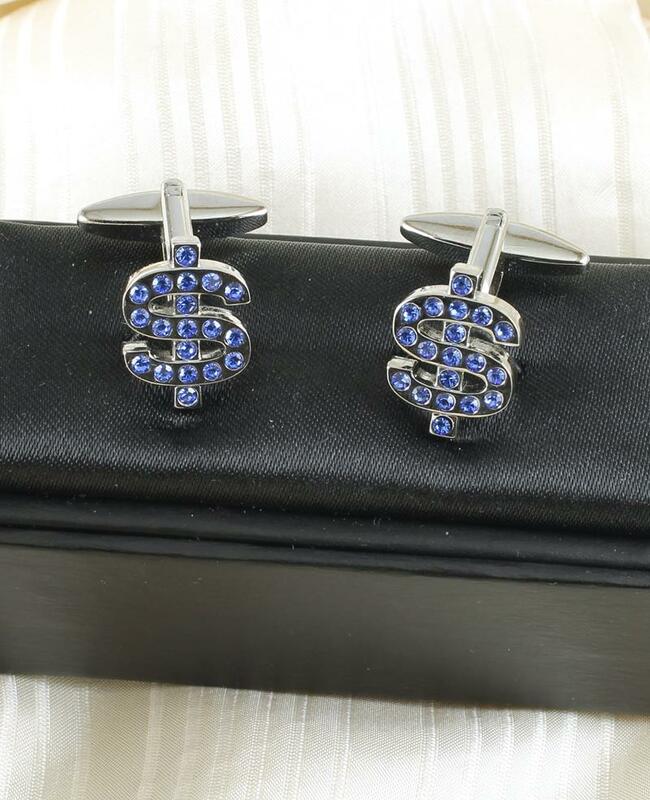 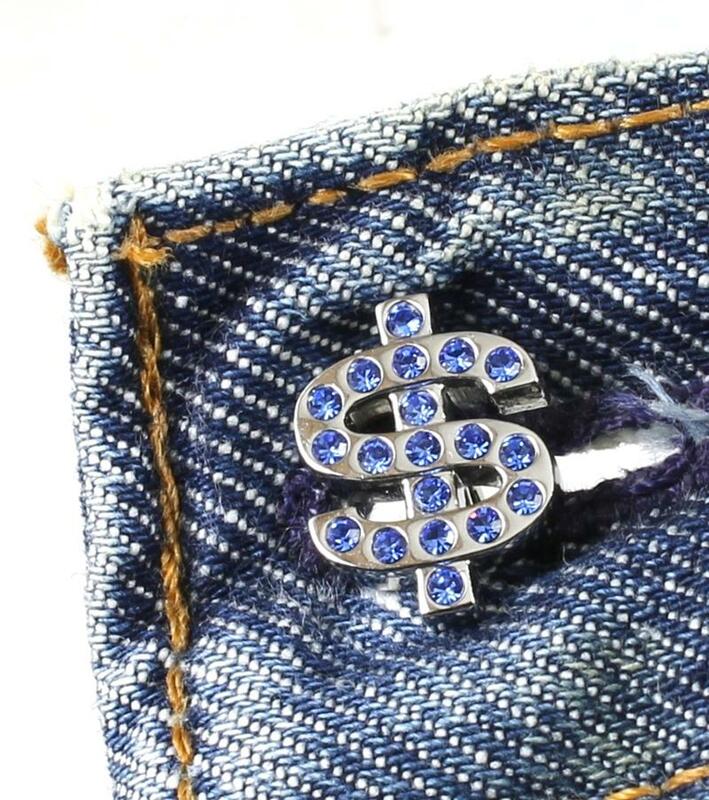 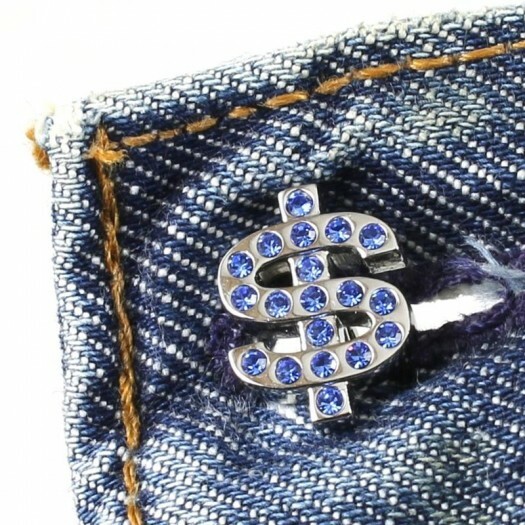 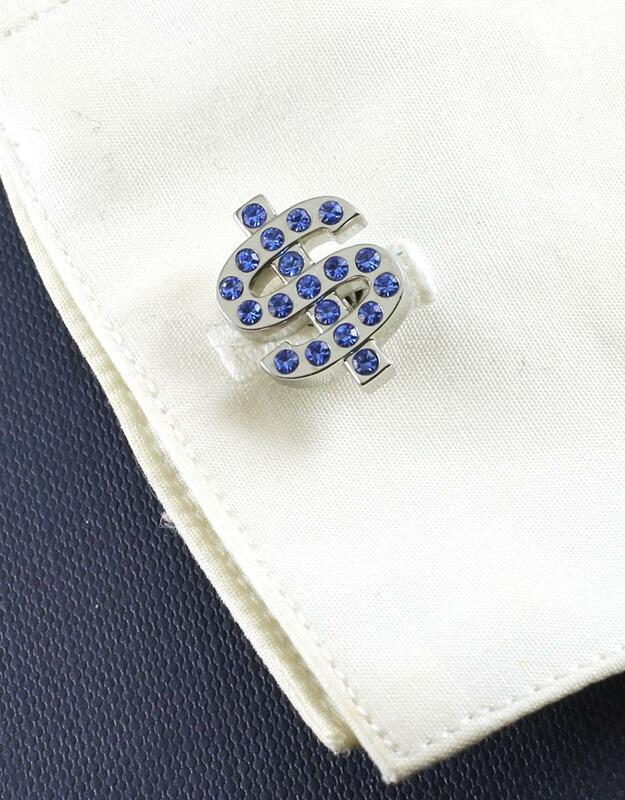 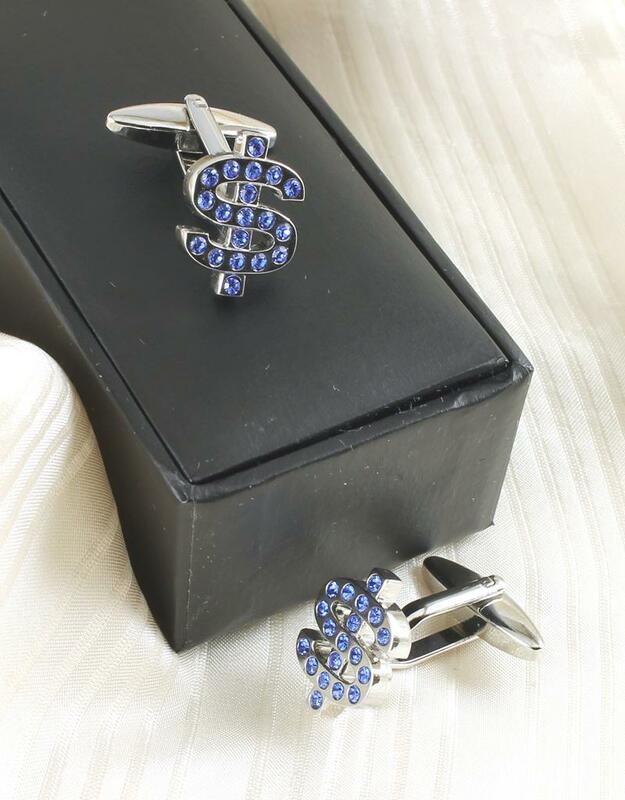 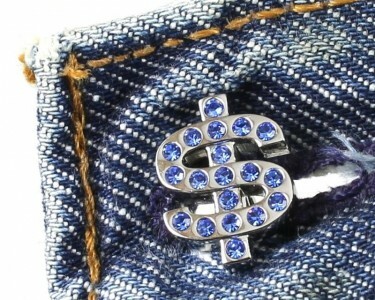 Cute silver dollar sign cufflinks studded with small round blue rhinestones in sapphire blue. 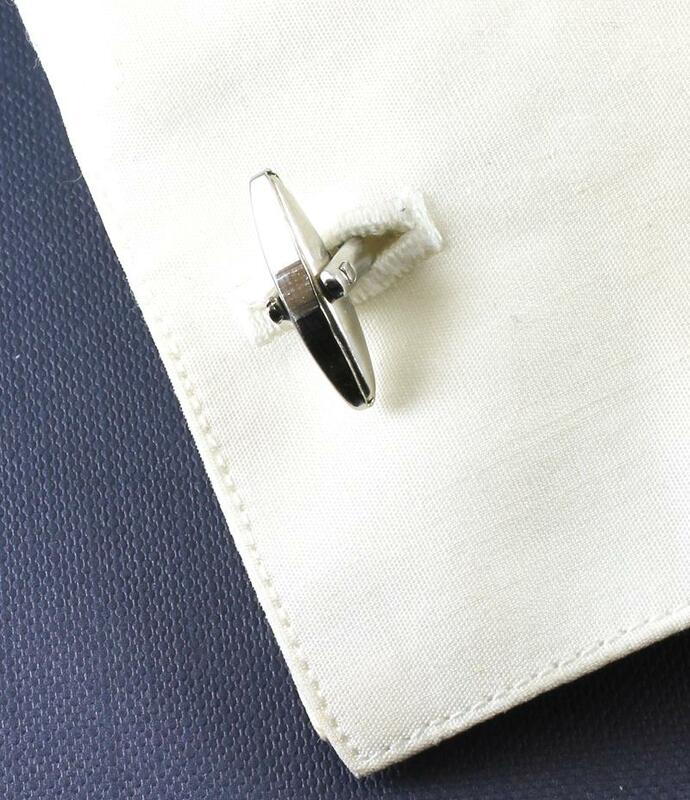 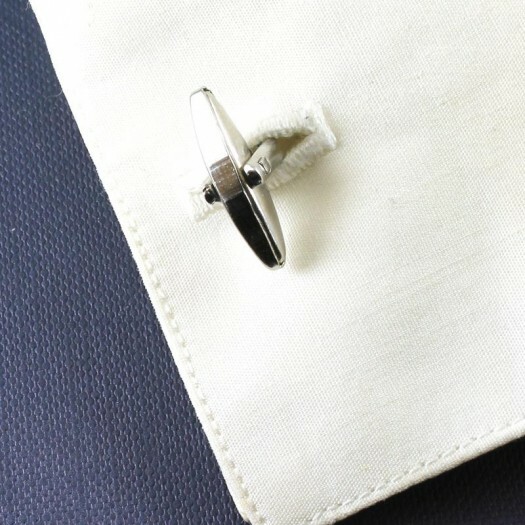 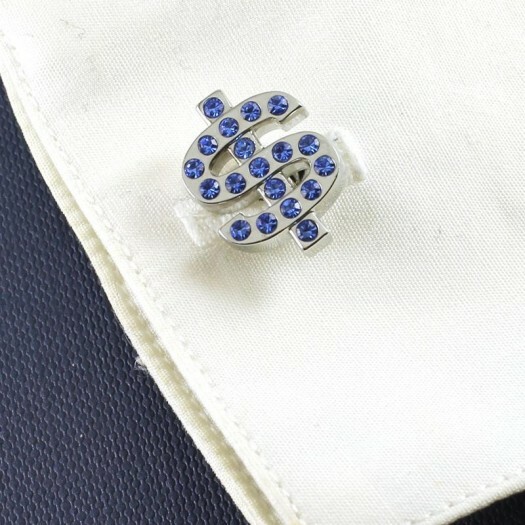 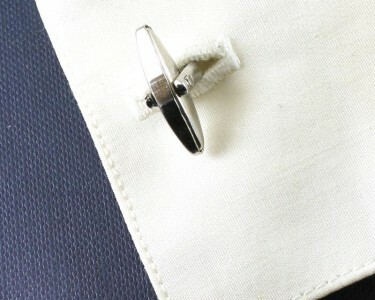 Wear It With : These are fun cufflinks that will go wonderfully with white French double cuffs, or even with your denim shirt for an amazing contrast, or give them to someone you like as a gift. 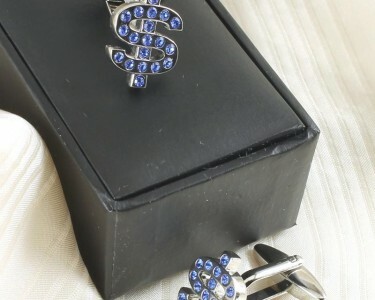 They are shipped gift packaged in a black velvet-lined box.